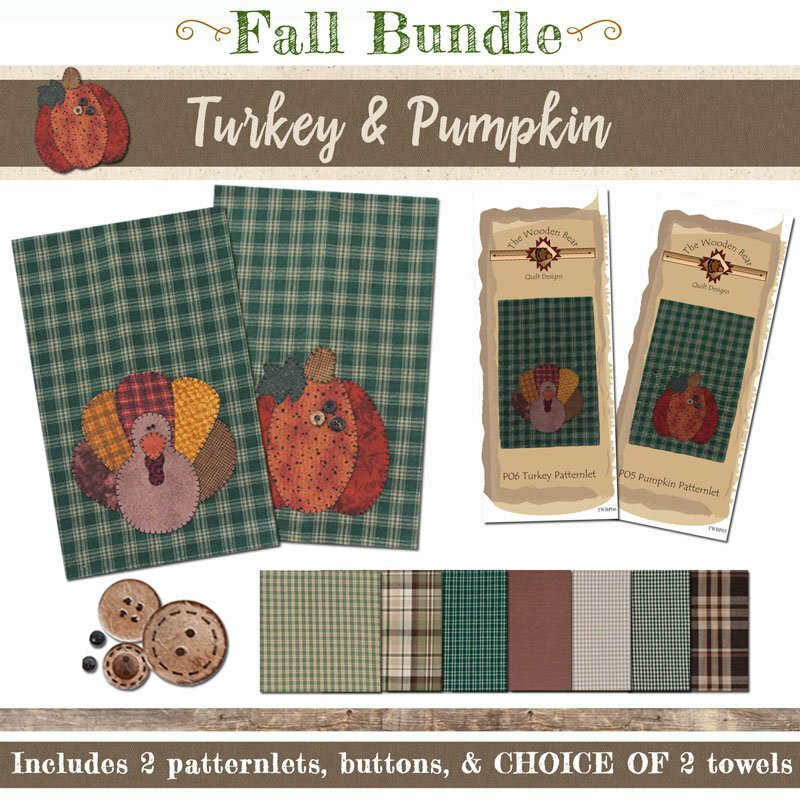 Bundle includes: Turkey patternlet; Pumpkin patternlet; your choice of 2 tea towels; 2 micro mini black buttons; 3 buttons for Pumpkin. 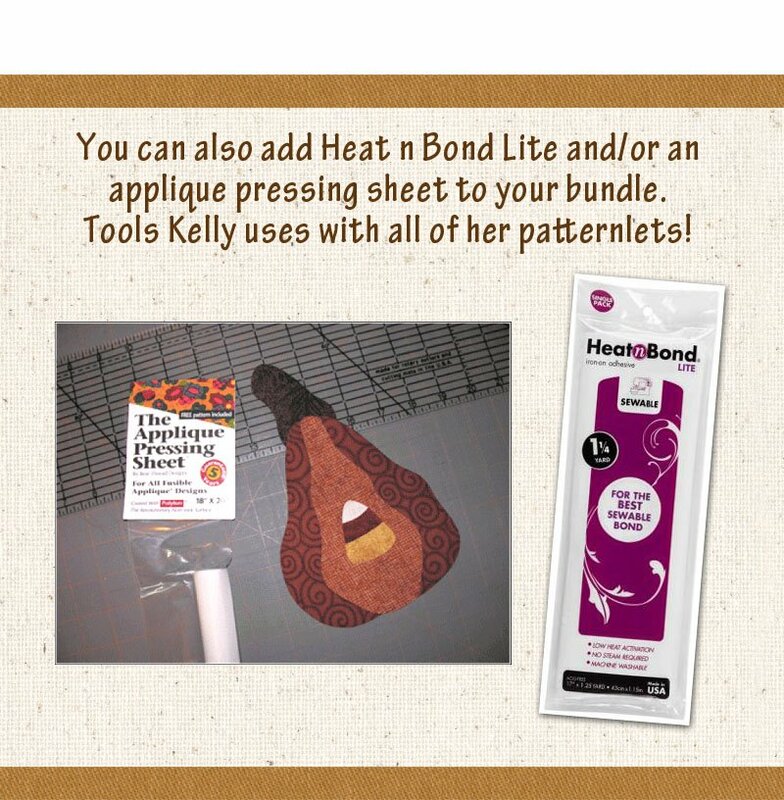 ADD Heat n Bond Lite ($ 2.99) and an Applique Pressing Sheet ($ 21..but it lasts forever!) 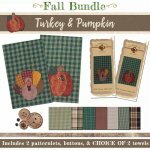 to your bundle, if you wish! Choose from the drop down menu. Receive a 3rd patternlet for free when you purchase an Applique Pressing Sheet! PLEASE NOTE: check the boxes for the 2 tea towels of your choice above. They are in order as shown from left to right. If only 1 towel is checked, you will receive 2 of that towel.